Every year, on Good Friday, we hold a dedicated children’s service at the Church of the Good Shepherd. 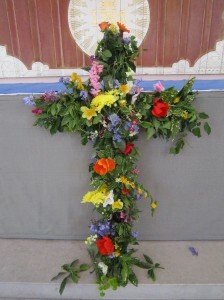 Each child is invited to bring a flower and attach it to a cross of flowers. 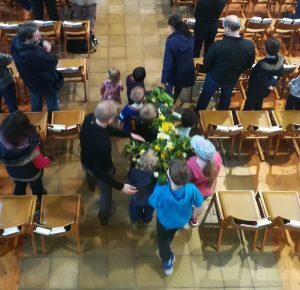 This is then carried by the children,with reverence, to the front of the Church and we hear the story of Good Friday. After the service everyone enjoys a hot cross bun.